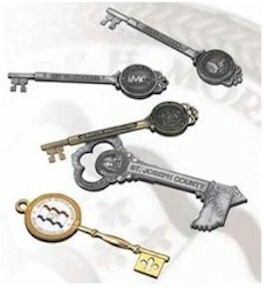 - 5" to 7.5" custom shape keys. - Price is for a minimum order of 50 keys. 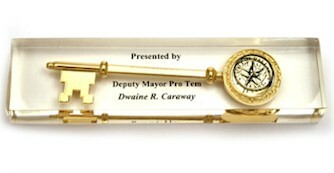 Get this golden key to the city customized for your honarary VIP's coming to your special event. 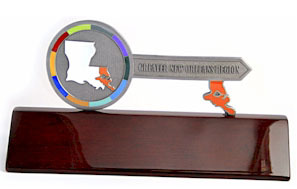 Present this key to your mayor, governor or whomever deserves a key to your city. 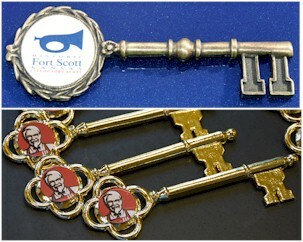 Key available in pewter finish with option to customize. 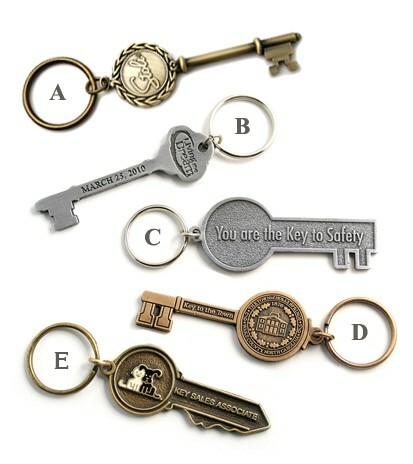 - 5" alloy metal key with casted imprint. 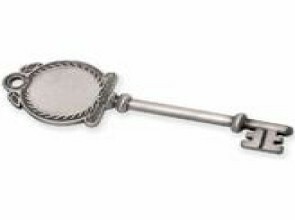 This ceremonial key is often used to honor achievement in real estate, hospitality, and civic duty. Click on image for details. 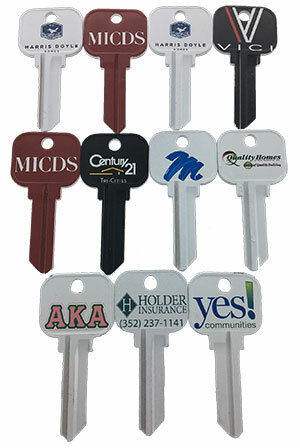 - 7" metal key with casted imprint. 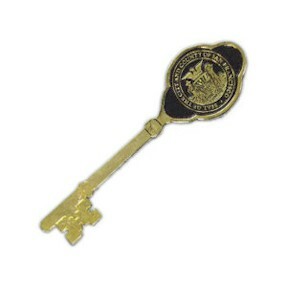 Issue a "Key to the City" that your guests will carry with them everywhere they go. Sizes start at 1 1/2". Custom orders may need a certain quantity and art fees quoted separately. 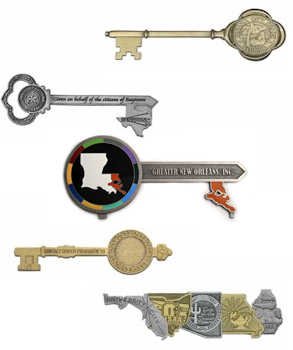 Add your full color logo to any of our ceremonial keys to honor achievement in real estate, hospitality, and civic duty. - Wood plaques and engraving plates available. - Price is for a minimum order of 15 keys. Opening a new business? 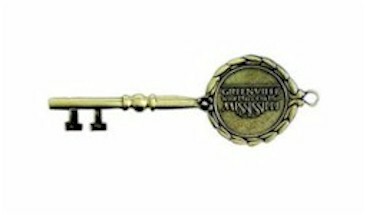 Need a great Key to the City keepsake? Maybe something for an employee raffle? These Small Head Custom Painted Key are a perfect choice! 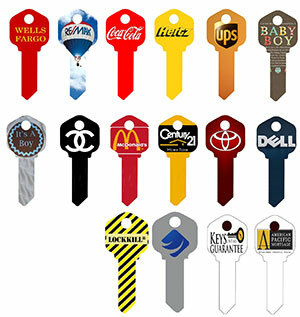 Make your next big event memorable with our Large Head Custom Painted Keys. 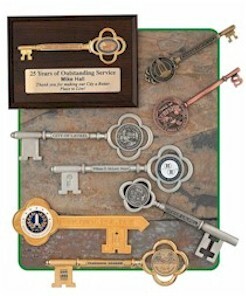 Your guests will remember your name after you hand them one of these keepsakes.